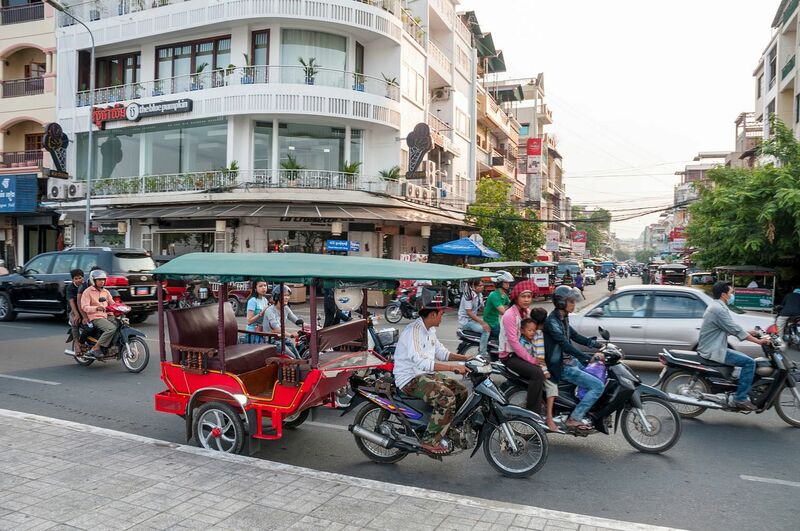 In Phnom Penh, the languid motorcycle-drawn carriage - called remorque in French and known colloquially as tuk tuk - is being muscled out by zippy Bajaj auto rickshaws driven by people using ride-hailing platform PassApp, says the writer. One night in Yangon, as I bid goodbye to my friend and his wife after dinner, they widened their eyes in horror when I tried to wave down a passing cab. No, we will get you a Grab taxi, they insisted. My friend jabbed at his phone, trying to open the app, before realising that the cellphone signal was too weak to run the function. His wife tried it on her phone but failed. Undeterred, the man gathered up his sarong and sat down on the steps outside the suburban mall. He roped in a friend who happened to walk by. The trio swiped resolutely at their frozen phones while streams of empty cabs roared past. I have been through different variations of this experience in Cambodia, Thailand and Vietnam, each time struck by how much ride-hailing apps have altered our attitudes to public transport. App users wear that same bemused, half-pitying expression when they discover I do not use any. They cannot understand why I would pass up on a safer, cheaper, cleaner and easier way to travel, for what they consider an old-economy ride. In Phnom Penh, languid motorcycle-drawn carriages - called remorque in French and known colloquially as tuk tuk - are being muscled out by the zippy Bajaj auto rickshaws that also ply the streets of Mumbai. These compact three-wheelers are driven by people using PassApp, another ride-hailing platform, where commuters can scan a QR code to pay their fare. A slew of other tuk-tuk-hailing apps have surfaced in Cambodia, promising hassle-free pricing and safety features using the satellite-tracking function on our phones. The number of registered tuk tuks countrywide hurtled from 1,467 in 2017 to 19,412 last year. A director in Cambodia's Ministry of Public Works and Transport, when queried by The Straits Times, attributed this jump to more stringent law enforcement, and the arrival of Indian-designed tuk tuks for the ride-hailing companies. On the steamy streets of Ho Chi Minh City, when rush hour sees millions of motorcycles converge like salmon writhing upstream, the bright green helmets and jackets of Grab's bikers are conspicuous beacons. Grab, which has over 8.5 million drivers and agents, does not reveal the national breakdown of those figures. But the growth of its private car, taxi and motorcycle hailing services in Vietnam can perhaps be best approximated by the indignation it has triggered among traditional cab firms. Taxi operator Vinasun sued Grab last year for unfair business practices and demanded 41 billion dong (S$2.4 million) in damages. In December, a court ruled in favour of Vinasun, but reduced the compensation payable to 4.8 billion dong. Grab filed an appeal last month. Years of watching "disrupters" win over their customers have left conventional cabbies resigned and even desperate. One evening in Kuala Lumpur, I approached a beat-up red taxi, only to find a young boy curled up in its rear seat. He was fast asleep. "Please, sit here," the driver pleaded, patting the front seat. "He's my son. He wants to spend time with me." After surveying the cab's forlorn but not quite filthy interior, I obliged, and he started the meter. "Thank you for taking my taxi," he pronounced with Shakespearean gravity halfway through the ride. "Nobody wants to take these taxis any more. Everybody is taking Grab." A few months later, when I asked a remorque driver in Phnom Penh how much he would charge for a trip, he smiled and replied: "Anything." Hooked up to the back of 125cc Honda motorcycles, the dramatic red chariots with carved wooden armrests are postcard-perfect but spend more time idle than their Bajaj rivals. True to his word, the driver got on his motorcycle without further negotiation when I clambered aboard the carriage behind. Before moving off, he carefully tucked an iPad in a nook across his handlebars, to watch YouTube videos along the way. I could not muster the will to protest because we were travelling just a tad faster than a pedal-powered rickshaw. Without a ride-hailing app on my phone, I attract labels like technophobic, masochistic or eccentric. The truth is, I have not decided if more convenient travel is good enough reason to surrender personal information on my phone to a company. In the new economy, where data is the strongest currency, and in the shadow of the Cambridge Analytica scandal, few promises of data privacy are ironclad. And while new European Union data protection rules require companies to seek consent before harvesting users' information, people who choose to withhold consent are simply locked out of many digital platforms. At least it is a choice that I knowingly make. In Myanmar, the growth of ride-hailing apps is unfolding in an environment where digital literacy is low and digital rights, a nascent concept. The proliferation of SIM cards and budget smartphones preloaded with social media apps has made life easier, but also allowed more sinister groups to coordinate the spread of fake online content. Some users do not know their Facebook passwords because their mobile phone retailer had started Facebook accounts on their behalf. Many do not know how to turn off the location-tracking function on their phone, or even know they have one. 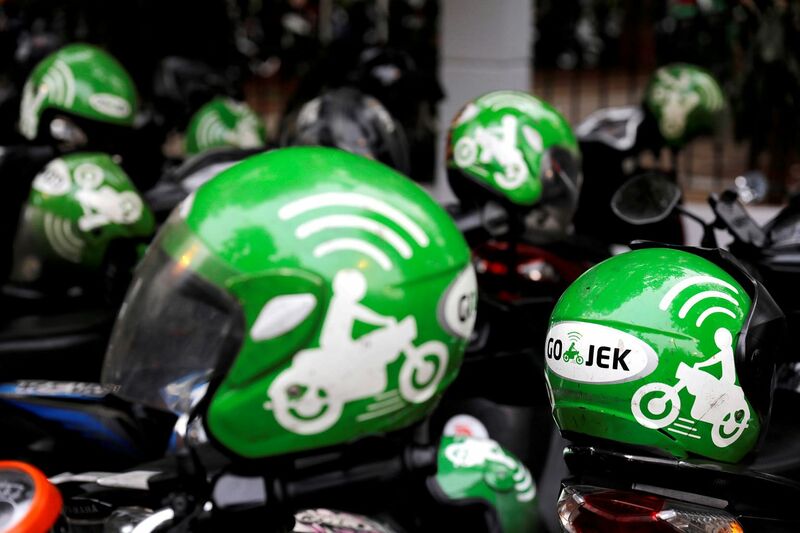 To their credit, ride-hailing apps have kept transport providers on their toes. In Thailand, the government has introduced new taxis with inward-facing cameras, emergency alert buttons and location-tracking functions which deter speeding. More importantly, Bangkok has worked harder to crack down on cabbies rejecting passengers. That's a constant hazard for Asians trying to get a ride in parts of downtown Bangkok, where drivers are more keen on serving white commuters in hopes of fat tips. For many ride-hailing app converts, such progress is simply too little, too late. Armed with an algorithm, they will not be persuaded to reconsider what they have left behind, having determined it is needlessly unreliable. As transport options evolve, Cambodia's remorques may eventually be relegated to tourist relics, much like the horse-drawn carriages in Myanmar's hilly resort town of Pyin Oo Lwin. But certain principles endure. Diversity can never make us poorer. And competition widens choice. These days, whenever I meet yet another commuter who writes off any taxi driver not rated by an app, I wonder if we are inadvertently trading one form of monopoly for another, and losing the very choice these digital platforms created. A palm-sized phone, armed with an algorithm, can now verify one's selfie, reduce pollution and generally minimise all sorts of taxi scams that plague visitors who don't speak the local language. Yet, there are only so many things an algorithm can do. That night in Yangon, one of the three Burmese Samaritans finally latched on to enough bandwidth to hail me a Grab ride after several restless minutes. My friend squinted at the taxi icon slowly moving across the map on the phone, before stepping in front of a cab he had identified out of the several lookalike Toyota Proboxes waiting around. Then, he pressed a fistful of 100 kyat (eight Singapore cents) notes into my hand. "Sometimes," he said, "they won't give you change."